There is an error on the display of the Achievements. Instead of showing the number you need to gather/do it shows the index number of the achievement. here 4 for example instead of 60. This is for all the achievement. 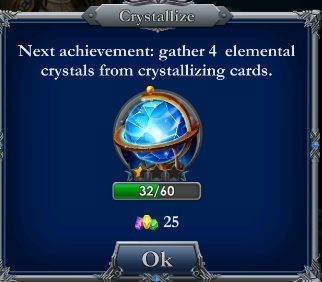 For example i am in the second achievement of quests it shows me complete 2 quests instead of 5. Best of all and keep it going mates. There i placed the photo.